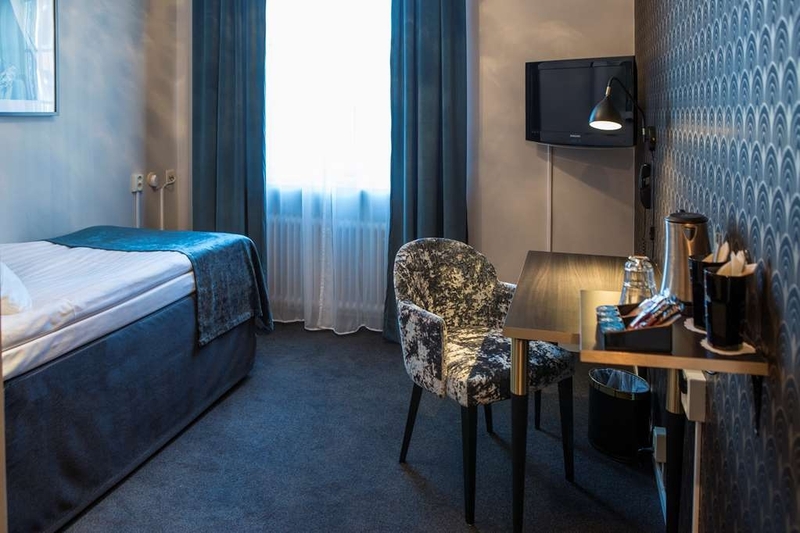 El Best Western Plus Hotell Boras se encuentra en el centro de Boras. Venga y disfrute de las mejores atracciónes turísticas cerca de nuestro hotel. Precios bajos garantizados y ofertas exclusivas. El Best Western Plus Hotell Boras es un hotel de 3 estrellas que cuenta con unas excelentes instalaciones entre las que se incluye un restaurante y salón. 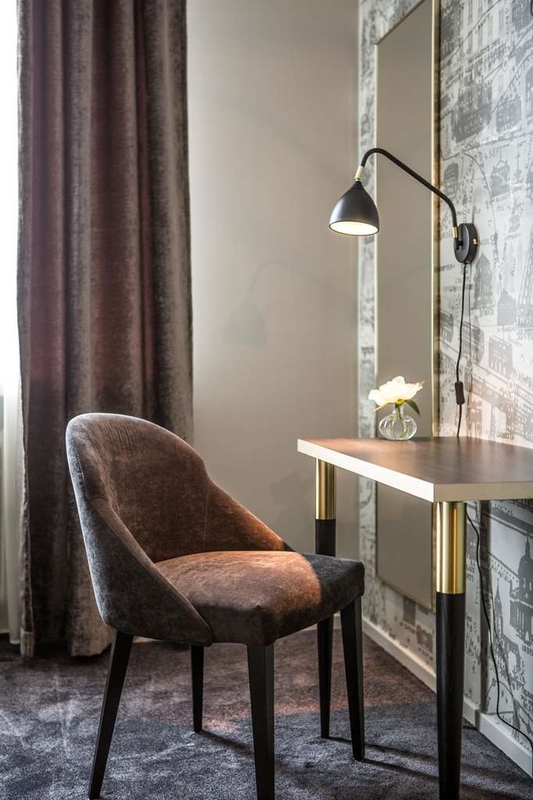 Nuestro hotel se ubica junto al centro de Borås y a tan solo 300 metros de la Högskolan y el Textile Fashion Centre. 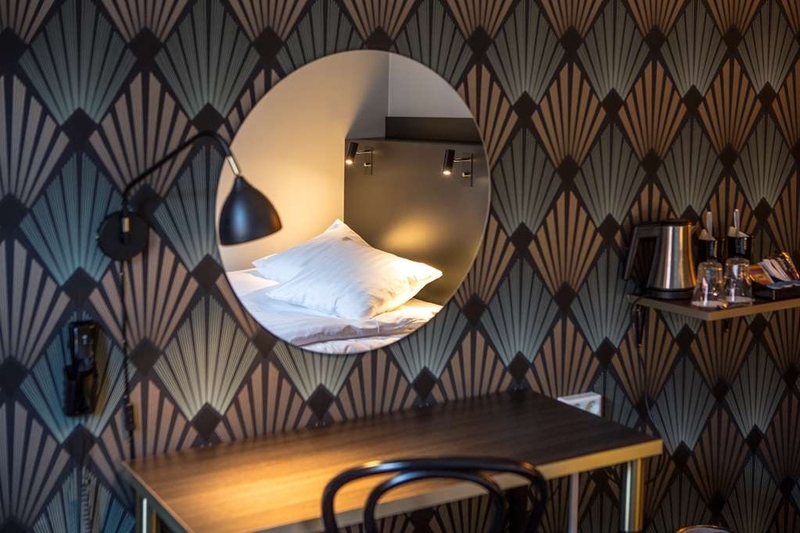 Hotel urbano de gran comodidad y renovado con un estilo que mantiene un encanto antiguo y acorde con la arquitectura local. Situado en una calle tranquila en el corazón del centro de la ciudad, cerca de tiendas y restaurantes. Todas las habitaciones son para no fumadores y cuentan con acceso a Internet inalámbrico. Disfrute de su estancia en nuestro hotel. In October, 2018 I visited Boras, Sweden, to attend a conference. It was a short trip, only spending four days in Sweden. Wisely, I chose to fly Qantas and Finnair. If you are visiting this part of the world, I would recommend you consider this combination to two fine airlines. I arrived early at Gothenburg Airport, to be met by a wonderfully attentive driver from PM Logistik AB. On arrival at Boras, I was expecting not to be able to access my room until 2.00 p.m., which meant I had 5 hours to 'kill'. Having just flown half way around the world, a daunting prospect. On arrival at the Best Western Plus, I was delighted to find that I was given immediate access to my room. Although, being able to access my very comfortable room, as I only had that one free day, I decided to explore Boras. It is a small city, so finding my way around was easy, assisted by the fact that English is a commonly spoken language. One word of warning, however, it is often raining in Boras, so I am told by locals, so take an umbrella. I would like to see more of Sweden, preferably for a holiday. Oh well, next time. 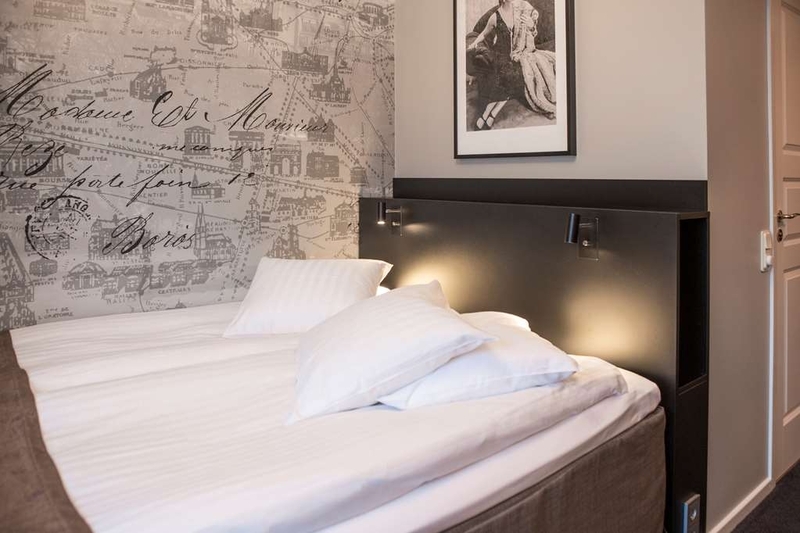 "Nice hotel, exactly what we needed"
The hotel is located in a good area, in the town centre and right near the university. There is a convenient supermarket and a few restaurants/cafes. Staff are lovely; the people at the front desk were very polite and really helpful, and the breakfast staff were equally lovely and always greeted us. The room was simple and it was everything we needed. It was quiet and clean, really what we expected and housekeeping was done very well and efficiently. Breakfast was nice and simple, it felt like a home from home. I liked the location the best, it was a short walk from the bus station and what I liked the least...if I had to say anything it's probably noise. It was noisy outside the hotel (we were on a lower floor) and the rooms weren't soundproof (I wasn't expecting to be being an old building, but I speak loudly and hope I didn't disturb the neighbours). All in all, it wasn't bad enough for me to feel that negatively about it. Honestly, the experience of the welcoming staff was really nice and it had a lasting impact. 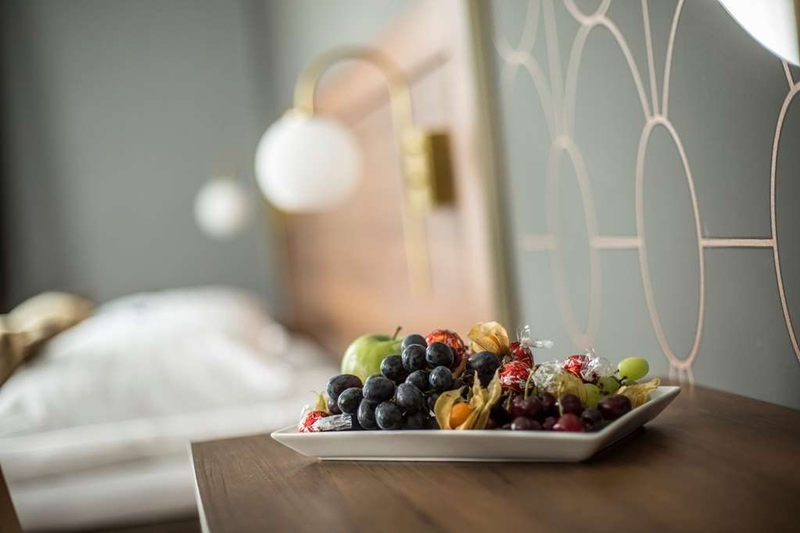 In my opinion, customer service is the most important element of a thriving hotel business and you can tell Best Western in Borås take it as a massive importance. 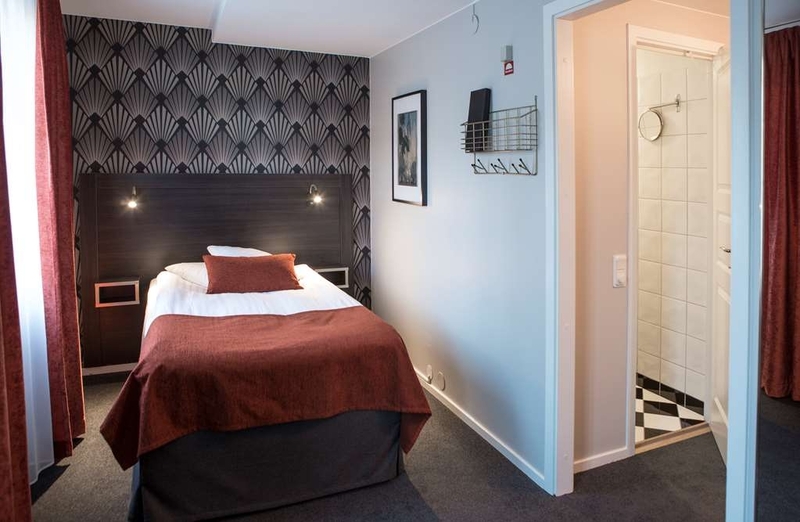 "A bit outdated but the location is great next to a supermarket"
The furniture is unfortunately a bit outdated but otherwise this hotel is really good ( especially the bathroom is really old). Close to a supermarket and the university. But the price for the standard is a bit high. The breakfast was really average and not that top experience. You feel like coming home to this very friendly hotel, where staff always put you as priority one. Nicely placed close to city, Good resturant where you can sit in or outside. Don't miss "Planksteak"!!! 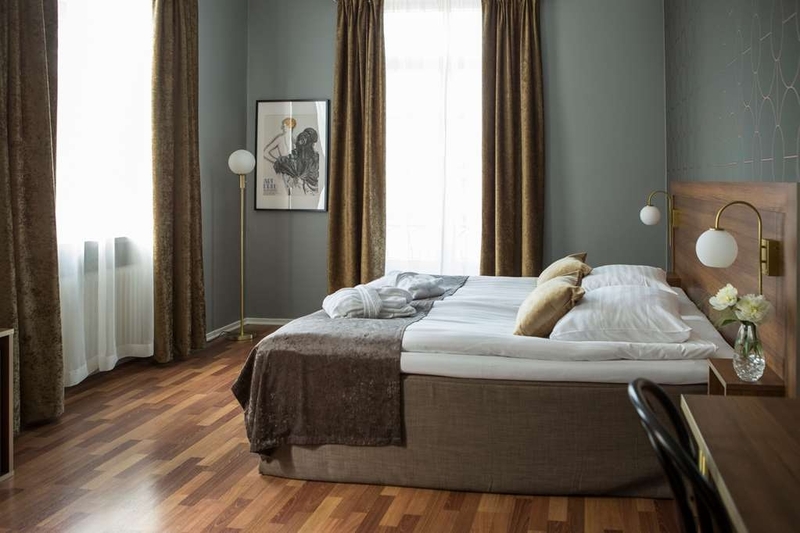 "4-night stay, during Ed Sheeran's concert"
So I stayed here for 4 nights, generally speaking it was a very nice experience, our room was nice and tidy, the staff was very friendly and they offerd us help for every problem we had, the location is just amazing, right in the center of Boras. The only problem was that our room didn't provide air conditioning, so it got kinda hot and we didn't sleep very well, and the breakfast wasn't that impressive. "Two Night Stay during Ed Sheeran concert"
The hotel feels quite a worn. The weather was very hot during our stay and unfortunately the room we stayed in had no air conditioning. The breakfast was quite scanty do not have too high expectations. 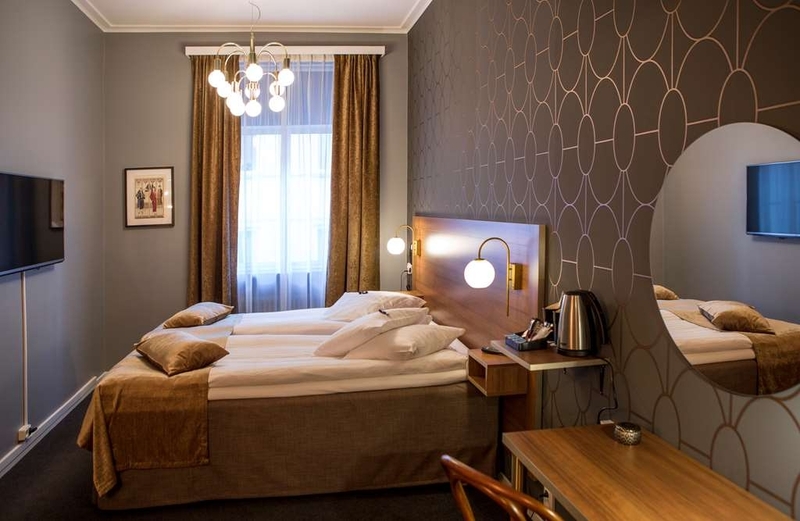 I've stayed at the BW Boras Hotell several times in the past and this year the facility continued to provide outstanding quality and comfort. 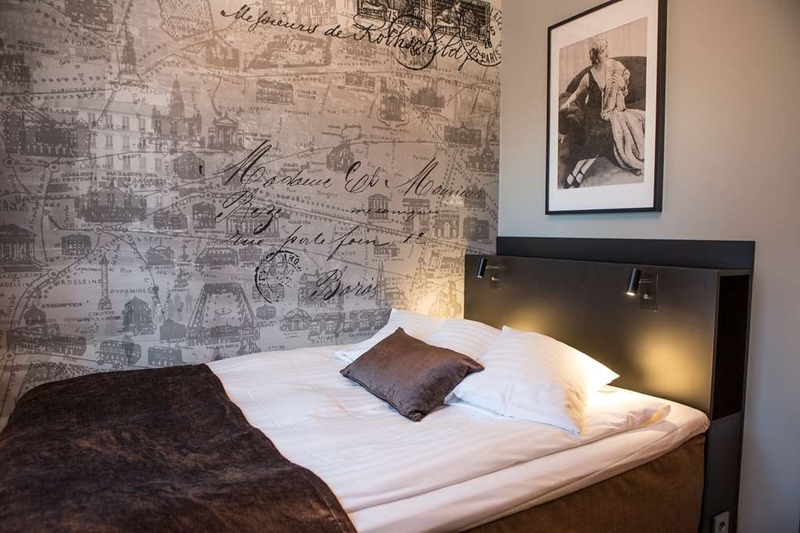 All rooms have been thoroughly renovated and redecorated. The reception staff worked very hard to accommodate us after I mistakenly selected a single room instead of a double bedroom. Their persistence paid off and they secured the room and provided a new reservation confirmation. The WiFi reception was excellent as was the down/up load speeds. The breakfast buffet was a delight with a full offering of cereals, fruits, yogurts and hot food items. The breakfast staff was very efficient and restocked items as needed. My only concern was the parking situation as the only parking is on the nearby streets. 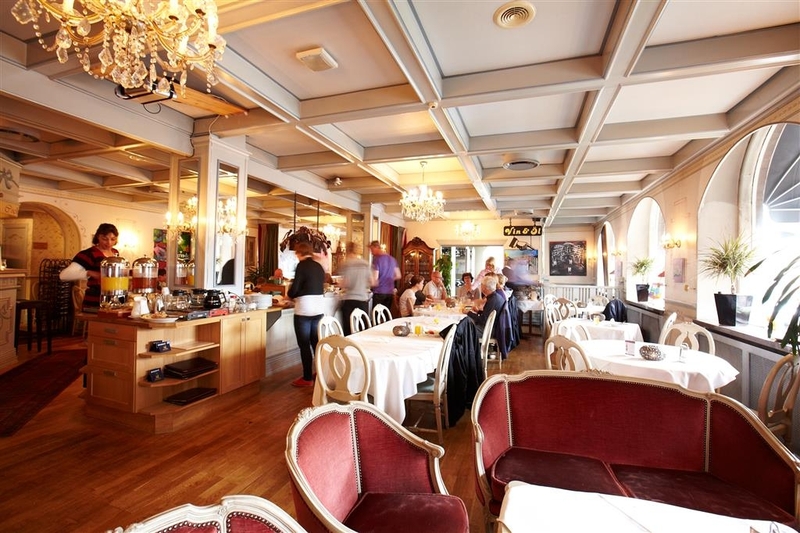 Nice hotel, located in the middle of Borås, nice restaurant with good food, specially their specials several versions of plank steaks. Also very nice and helpful personnel. Rooms are not especially big, but functional and clean. Very nice staff, both reception and dining room. In the morning you will get an excellent breakfast. In the evening you just need to try the dinner, well composed meat meals. The rooms a just standard but enough for a couple of nights. 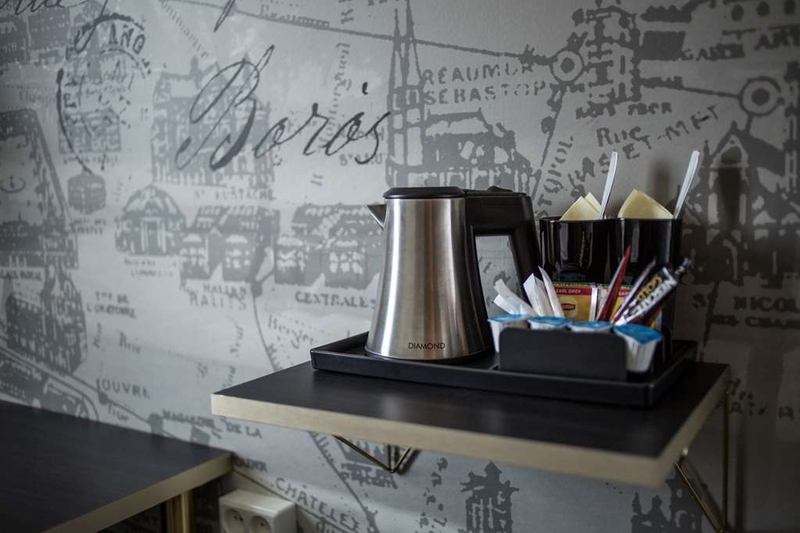 "Best time in Best Western - Boras"
"Average service old rooms yet peaceful if requested"
I visited the hotel and got a quiet room yet it was in another building and entrance was difficult to find. The reception was quite average not very informative to explain how to walk there. Room was old yet served its purpose. Average. I have stayed at this hotel several times the past two years, the staff is very service minded, the food is good and the rooms are nice. I can recommend the cesar salad in the restaurant, but every thing else I have tasted is also satisfying. This is a standard business hotel. Breakfast room is too small during rush hour and you feel very stressed. Room is ok, nothing extra. Nice bed, but the office table is too small. Location is very good in city center. 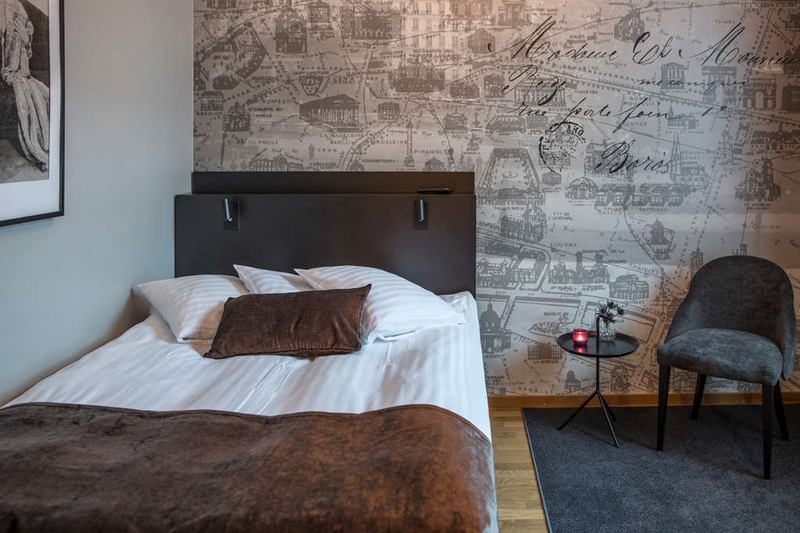 Cosy hotel with excellent interiors, fresh rooms with clean bathroom, good location at a small and calm street, good to have a single room with single bed, however, carpeted rooms is not to prefer if you have allergy problems. 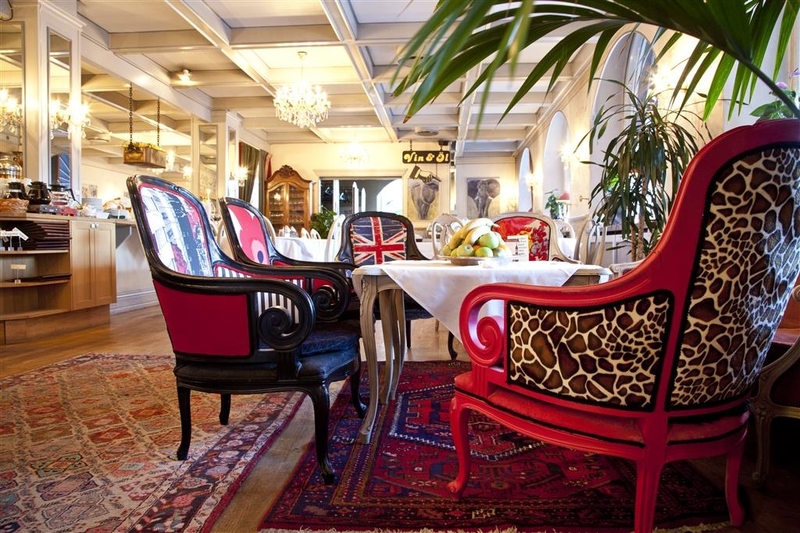 Nice hotel in the center of Boras. Very friendly staff and nice rooms, Stayed here for business for the first time and I will come back next time I am in Boras. The hotel have a very good resturant close so it is very convinient when you travelling. Had a problem sleeping due to the night club in the street below and it was a hot weekend with the SM Week there were many people about. I complained and I know they could not do anything about the night club but Wow! what service they gave me, virtually anything they could do to help, they did. To the point of a follow up call two days after i left by the manager. Nice hotel, good breakfast and yes, super service. "Unfriendly straff and night club in the same house"
Unluckily we got rooms with a window facing the street. There's a night club right under the hotel which makes it hard to sleep. The rooms are super warm during summer with no AC. Unfriendly staff that just ask people to leave from breakfast. We (together with other guests thought they were serving breakfast until 10.30, not closing). So at 10.40 the staff approach us and unfriendly said "Can you leave now? I have other things to do later!" Other people in the restaurant looked surprised too. Instead they could have told us nicely at 10.15 that they would close at 10.30 and we will have to leave. 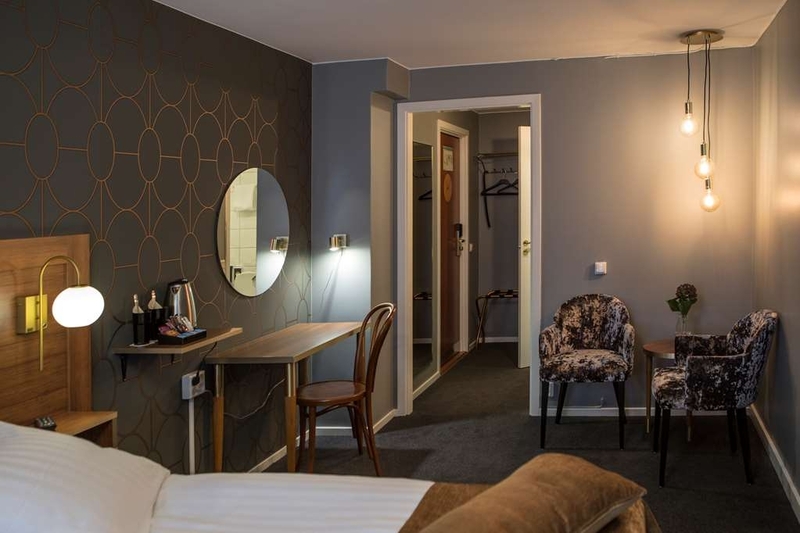 Will live at Scandic around the corner next time. Much better! 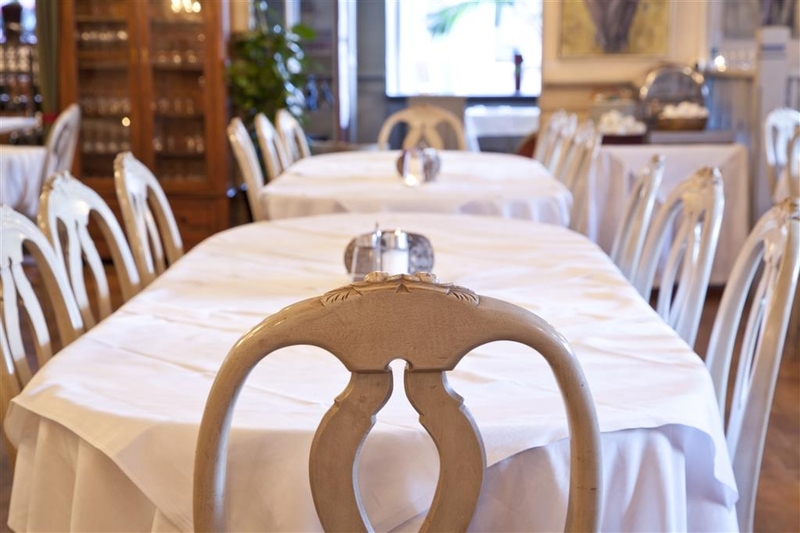 "Nice staff / crappy place"
"Very Basic but great location in centerl"
The breakfast was Ok! The dinner was so expensive for what you get. This hotel is like a missed opportunity. They have a water boiler in the room so you can have your coffee or tea in the room. Pretty convenient. But over all I'm not very impressed. 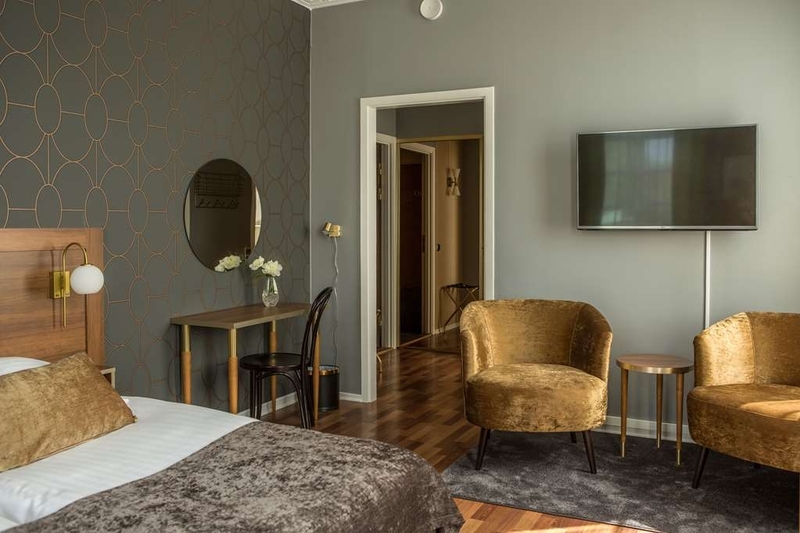 The hotel has a great location in the middle of Borås! But the reception is at one place, parking lot at another place and extra rooms in another house! Wifi is free but doesn't work. To get breakfast you have to go to the main building one block away! "Annex expired, not up to date anymore!" 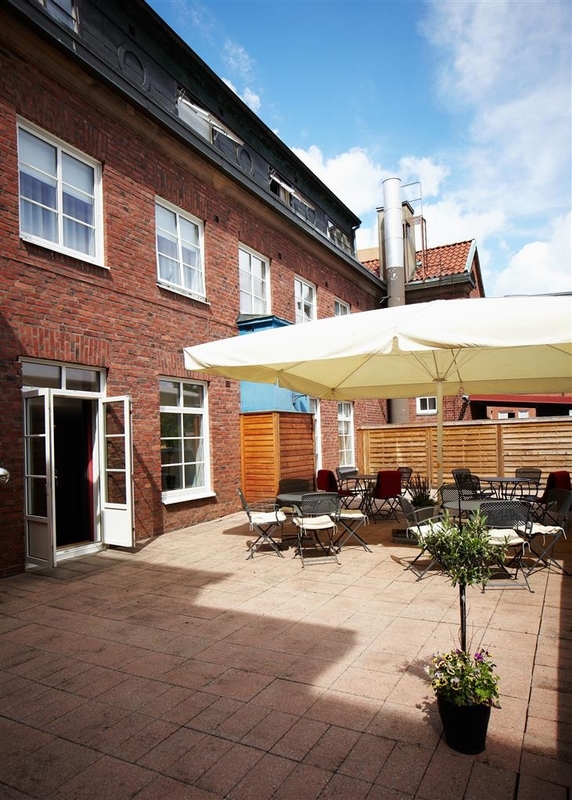 Nice location, nearby a lot of good restaurants in the center of Boras. But in the annex location of the hotel I got a very small room! 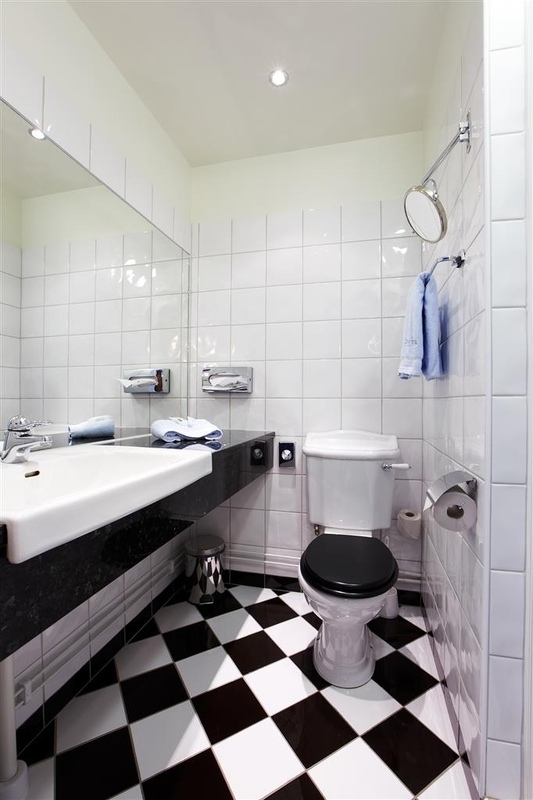 Room, shower and public areas must be renovated urgently! The breakfast is served in the main restaurant, good but nothing special. Restaurant Renaissance which belongs to the hotel is good. Fair price, for good food. I stayed there because I'm diamond member of Best Western, but for sure that was not the best BW I stayed in. "Nice staff, somewhat dated rooms"
Very nice staff and good breakfast. Rooms are in need of a little update, but good hotel for a night or two. Really good location near the city centre. Located next to a night club but it did not disturb us. 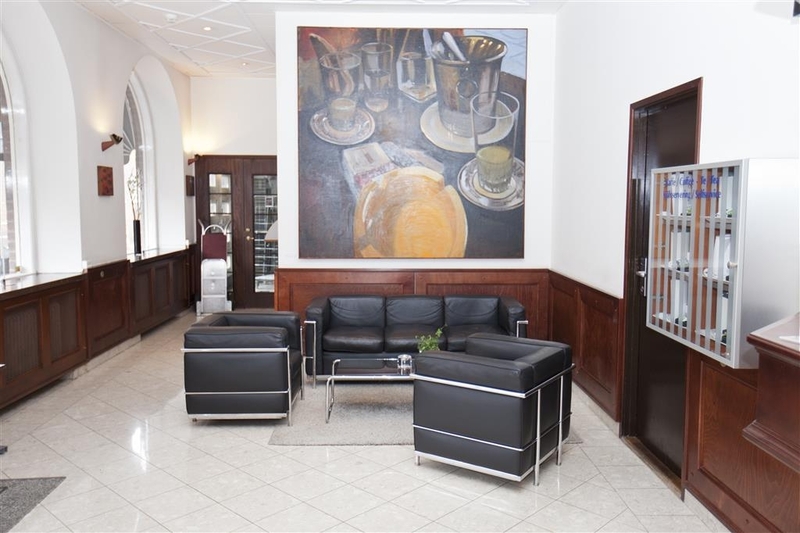 "Fantastic Front Desk Staff & Perfect Boras Location"
First, I want to start with the quality of the hotel staff. I had a slight problem with my room as the window wouldn't open all the way and had some troubles sleeping. I mentioned it to the hotel staff in the morning and they were able to move me to a different room that allowed me a great night's sleep on my second night there. I've stayed at this hotel twice (main building both times) & have gotten a single room each time. The rooms are not huge, they're just what you'd expect for a room with a single bed. The internet works fine. There are only about 7 TV channels, but you're not there to watch TV anyways. Parking is available in a parking garage right around the corner, I believe it's 140 SEK per night. After 3pm on Saturdays, street parking is free - I was there for the weekend and only used the garage 1 night as they were booked up the second night, but got a parking spot about a 1/2 block from the hotel with no issues. The breakfast spread is quite good - it has 3 types of eggs, bacon, sausage, cold-cuts, a wide variety of breads, jams, juices, yogurts, a juice press for fresh squeezed orange juice. Room tip: If you're in the main building, ask for a room on the back or side of the hotel so you're not facing the front, especially if staying over a weekend night in the summer time as there's a bit of activity with club/bar down the street. Also, I'm a Best Western Platinum - the points did not post automatically for my first stay, so i had to request they post them manually, which they did. For Platinums, they offer a dining discount or 250 bonus points as a welcome gift. If coming back to Boras, I would stay here again. Stayed in a Annex building room , nice and clean and Quiet. Main building is near a pub with lots of activity. Breakfast was nice but not replenished if you get there near closing time. Outside Annex building is a nice Chinese restaurant with eat 2 for 1 happy hour. 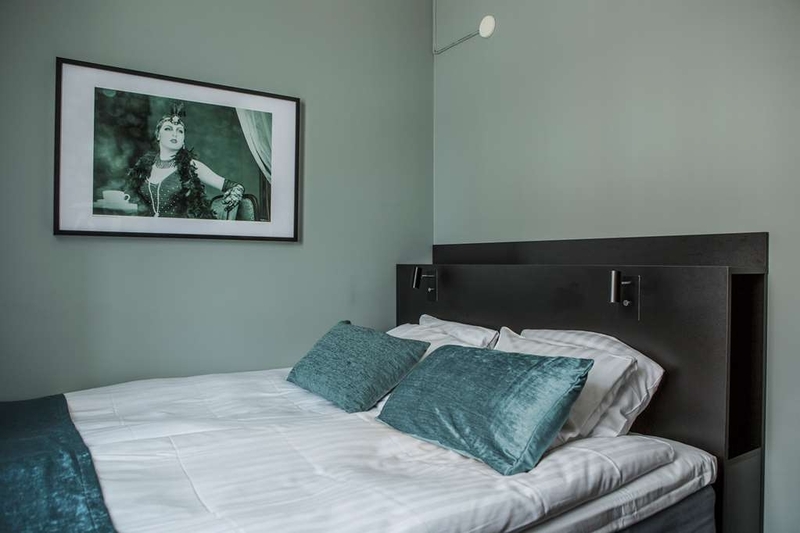 "Good service and overall impression; however my room was styled pre-Ikea era"
I wonder since when is the hotel founded and when was the last renovation... The equipment is quite antique and the equipment in my room seems to be out of a 19th century Balzac novel. There was a ventilator in the closet, instead of air conditionning. 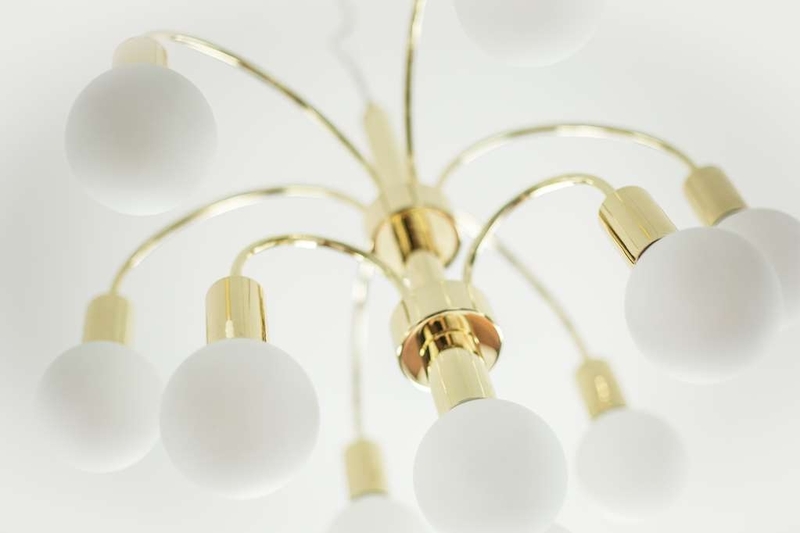 There aren't enough lamps to light the whole room space. Otherwise, the service is very nice, the breakfast is good and the restaurant space cosy. The free wifi is rapid and even available on the terrasse. Dear Realtraveler_12, Thank you for taking the time to make a review. I like to answer your questions. 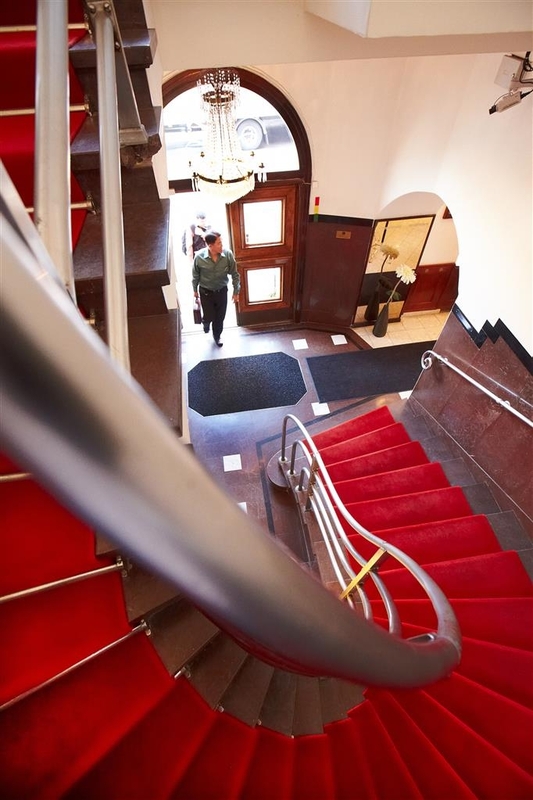 The mainbuilding is from 1929 and been a hotel from 1984. The mainbuilding was last renovated around year 2000. Thank you for your feedback. We want and always try to be better. 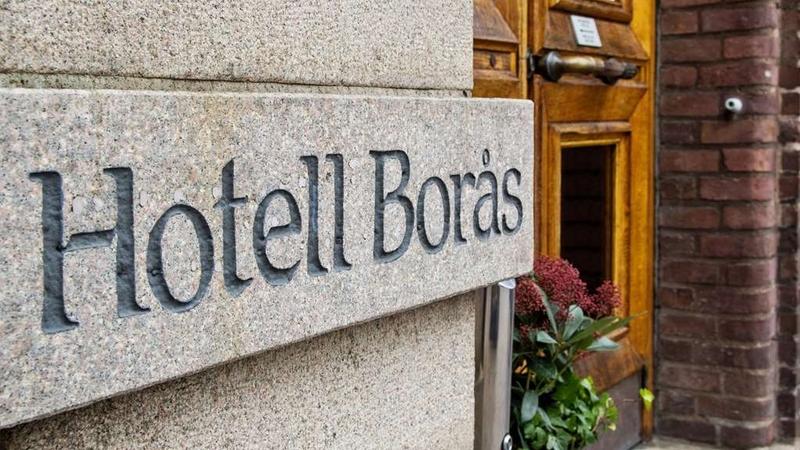 We are happy to hear that you enjoyed your stay at BEST WESTERN Hotell Borås. We are looking forward to see you again soon. Easy to find and very convenient for the University of Boras. The rooms in the main building are very comfortable. Mine had a large TV, a small fridge containing chilled sparkling water and similar drinks, plenty of desk space and a good view of the town. There is a shower rather than a bath, but the shower is large. Every staff member I met here was, without exaggeration on my part, absolutely lovely. 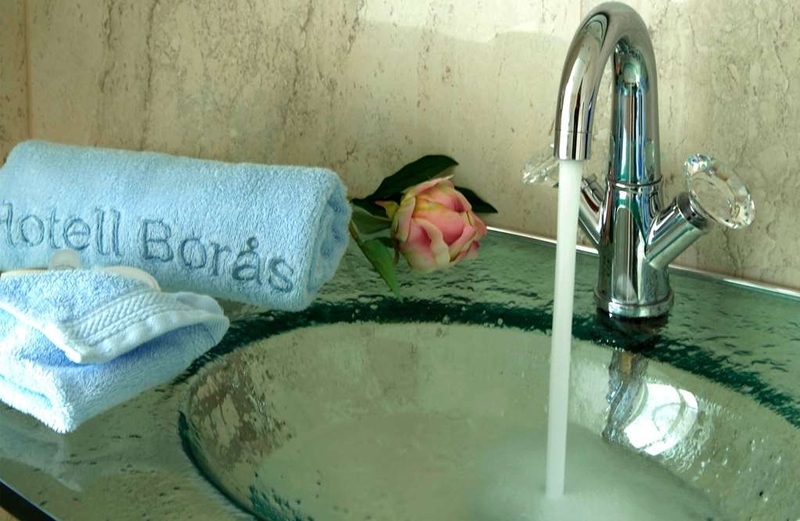 If the opportunity arose to visit Boras again, I would reserve a room here without hesitation. The restaurant is extremely nice, including candles on each table. An extensive menu was offered and they were very quick to serve the food that we ordered.